The Nature Adventure Park is NOW OPEN! 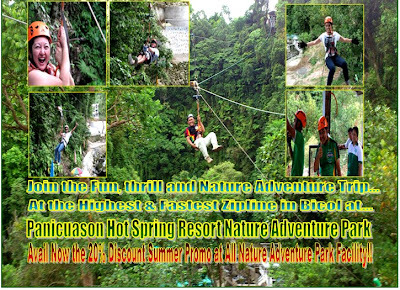 High Rope Tension Bridge-Crossing the single rope line 30 ft above the ground is a great try out for everyone and once you reach a middle portion of the line, you can choose to free fall and it is a great adrenaline rush. Climbing wall- Conquer your fears, have fun , stretch and exercise at our climbing wall. 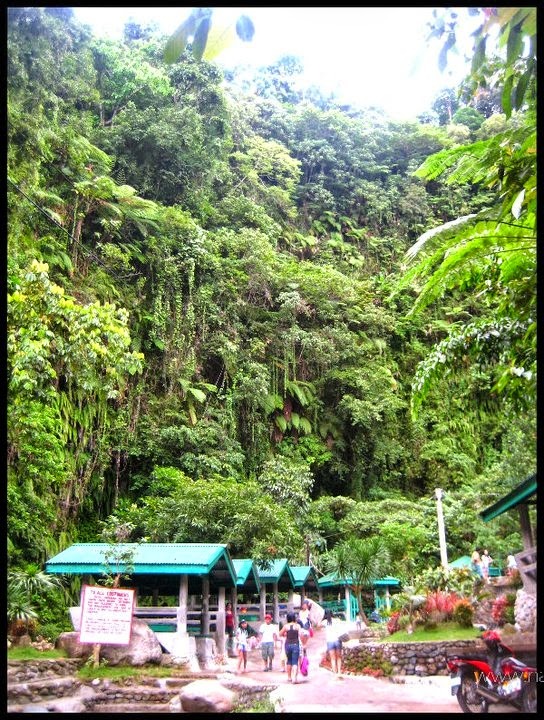 It is 15 ft to 20 ft. height with a width or length of 30 ft., is enough for a climber for a great exercise, fun and thrill. 4. 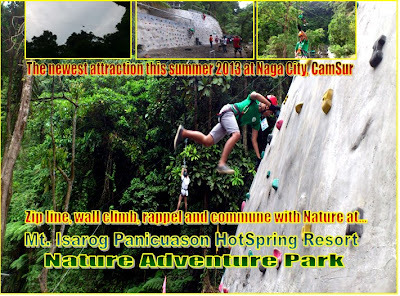 Rappelling-Learn to descent with protective equipments at our 30 ft height rappelling wall 5. And more. May 1st, it's Labor Day and it's Agua de Mayo. 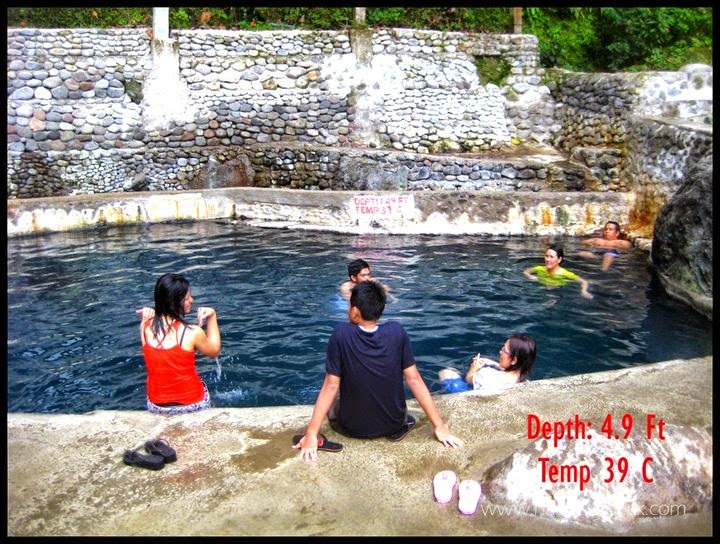 I toured my college friend here in Naga and our last course was to have a dip at Panicuason Hot Spring Resort. 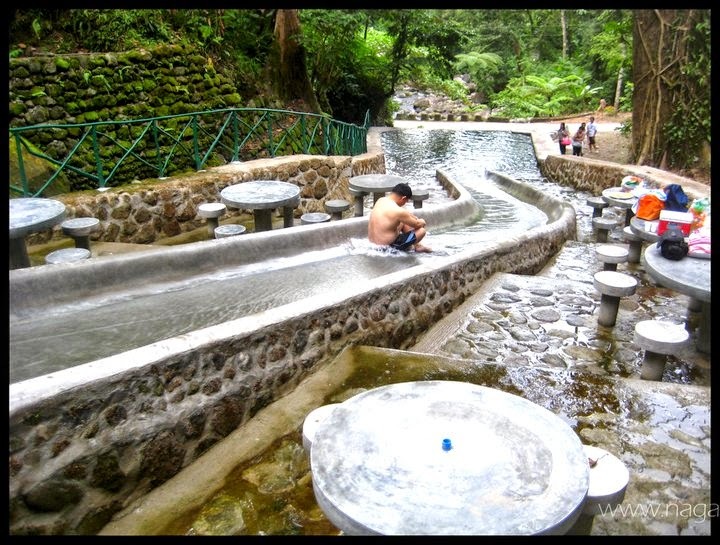 The resort is refreshing, cool, and let's you connect with nature after a tiresome week from work or school. 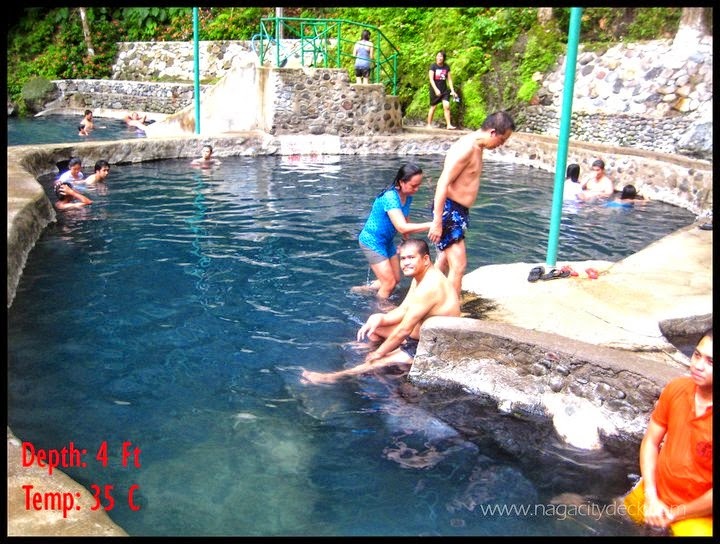 Take yourself to Panicuason Hot Spring Resort and feel the coldness of spring water and hotness of sulfuric water with healthy benefits. 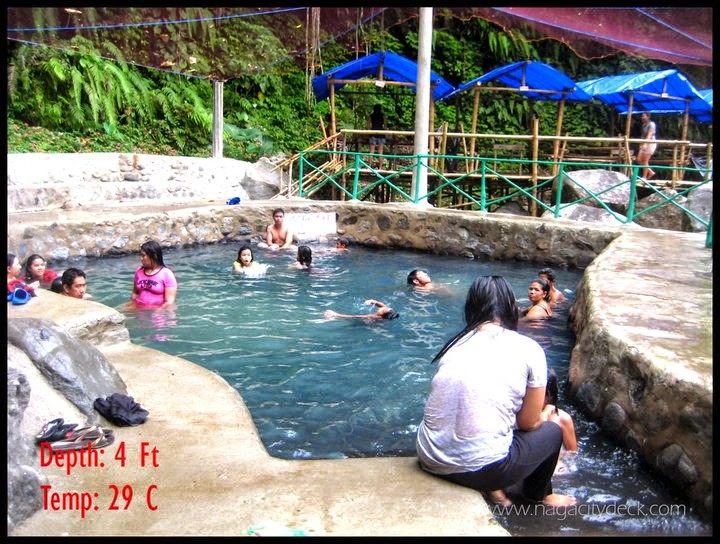 The resort is at Panicuason near the foot of Mt. 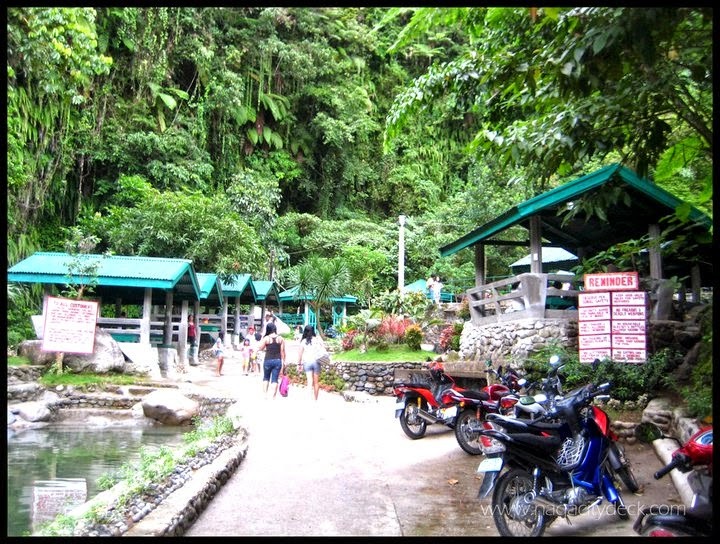 Isarog.. Come! 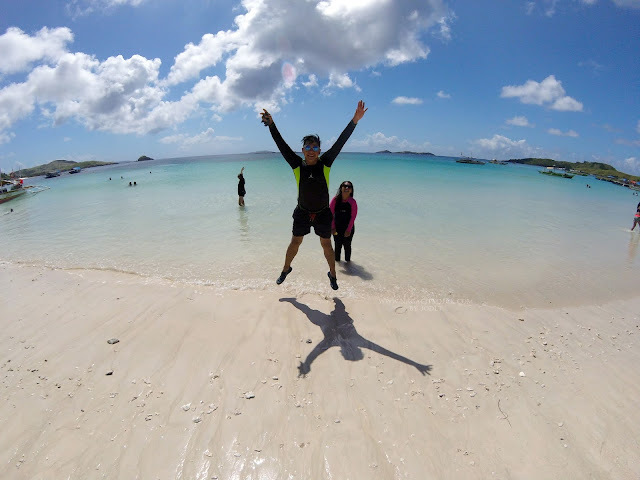 Let's enjoy nature! 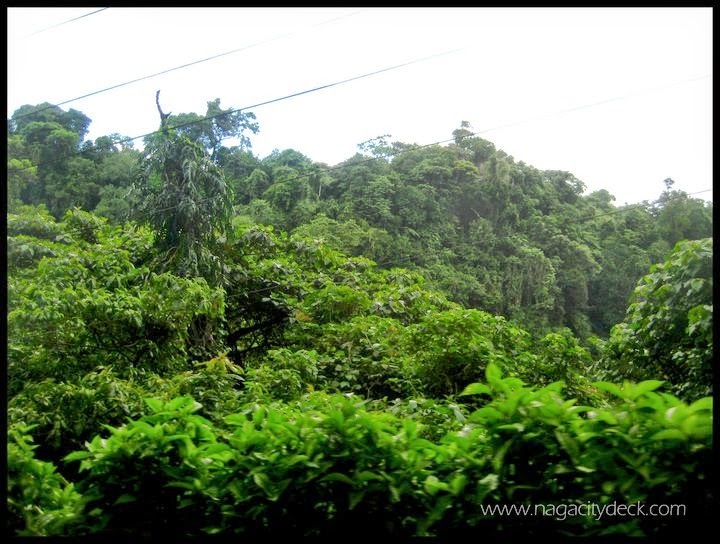 From the city proper of Naga which is Barangay Penafrancia, the barangays that you'll be passing by are San Felipe, Pacol, Carolina then Panicuason. 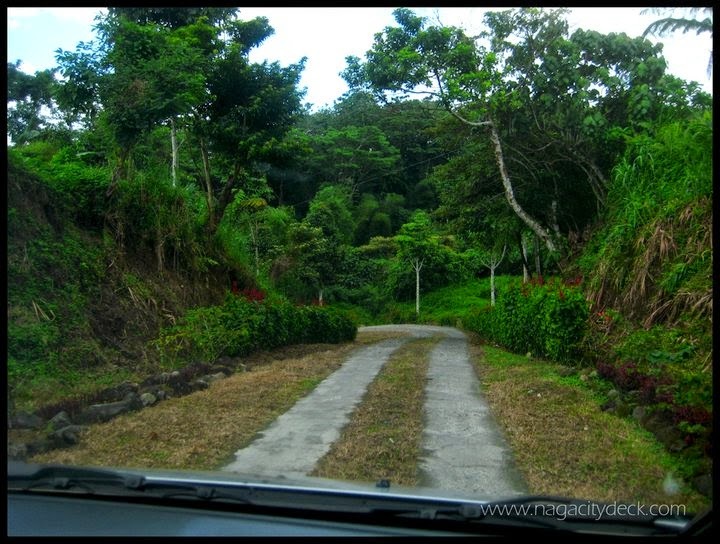 The trip will take you an approximate 30 minute drive going uphill to the Panicuason suburbs. 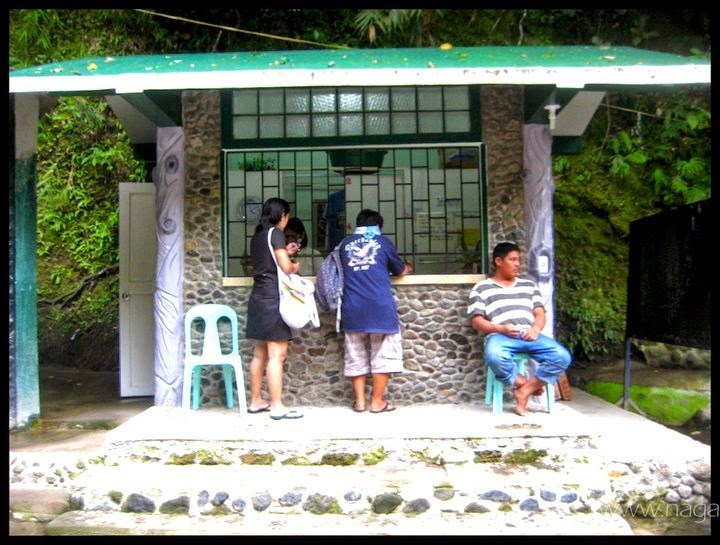 Rates of Cottages ranges from Php 200 to Php 500. Entrance Fee is Php 200. Please refer to photo as you scroll down. 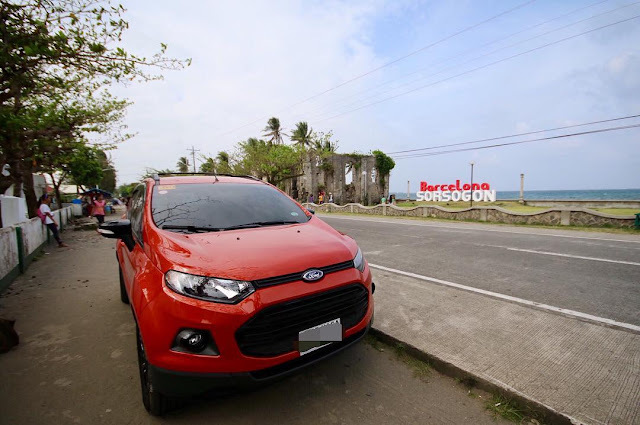 If you're a commuter, terminal going to Panicuason is situated near the Naga City Market (now called Naga City People's Mall) near P. Caceres St./Padian Street. 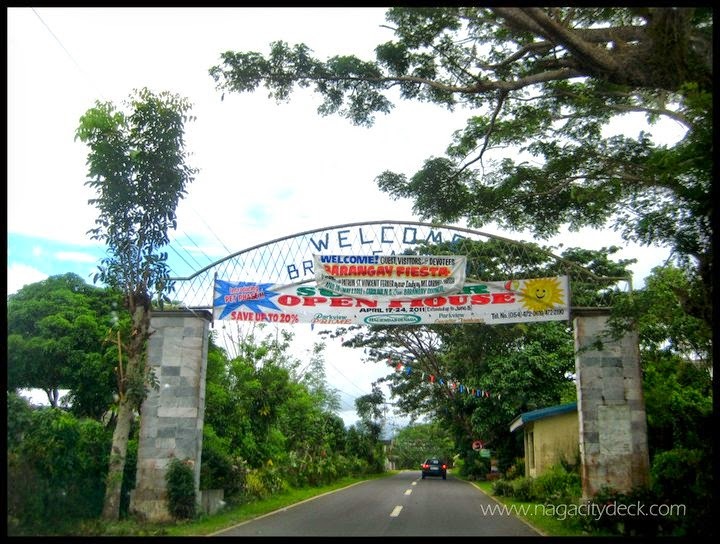 Barangay Carolina is full or resorts both on the left and right side of the road. 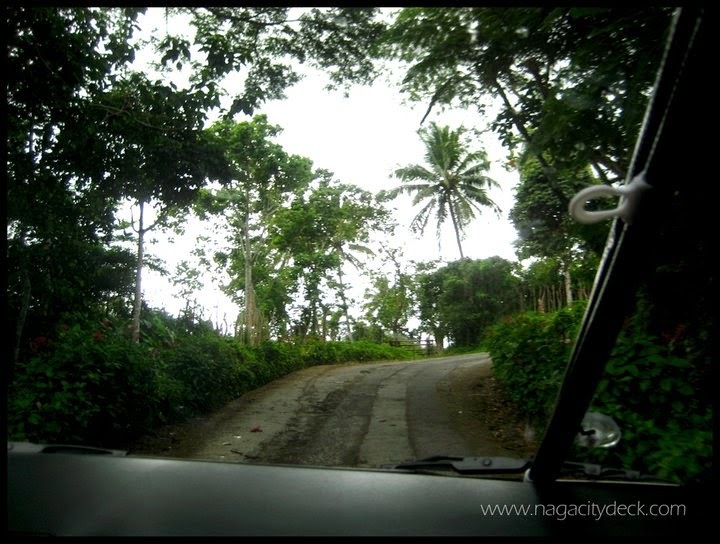 Few of the noticeable resorts are, Kayumanggi Resort on the right side, Penafrancia Resort and Casa Ofelia on the left side of the road to name a fiew. 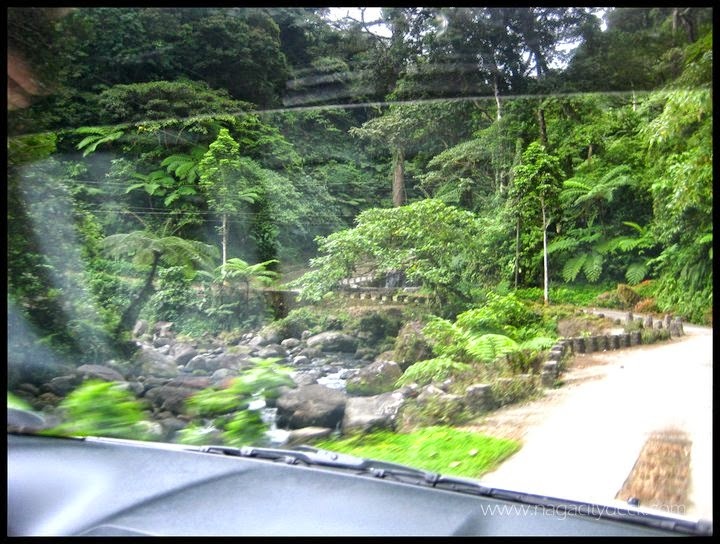 The road going inside the resort is a one-way traffic. Excursionist going down to the resort will have to wait for outgoing vehicles as reported from the radio (walkie talkie) of the staff and vice versa. When the road is clear, it's good to go! 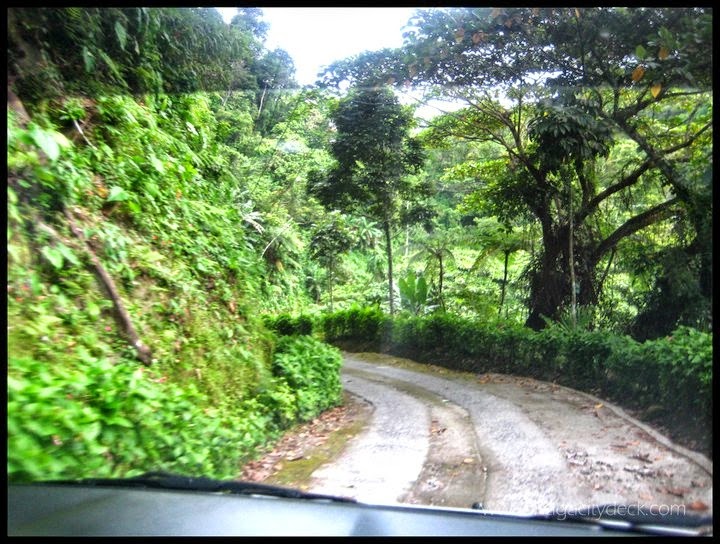 Sharp curves going up and down will test your driving skills. 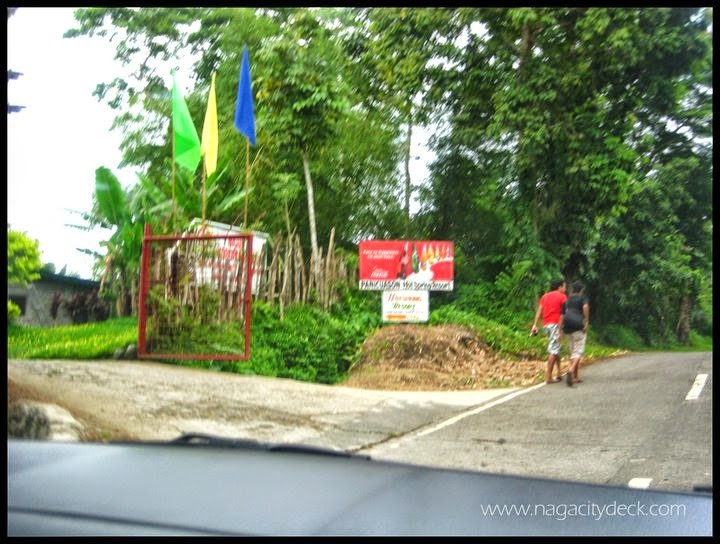 Off road trucks and other types SUV's, people carriers and Jeepneys will have no problems in going down to the resort once you enter the gates of it. If you have lowered sedans, just take in control and maneuver your car with utmost care. Here's how the path looks like. 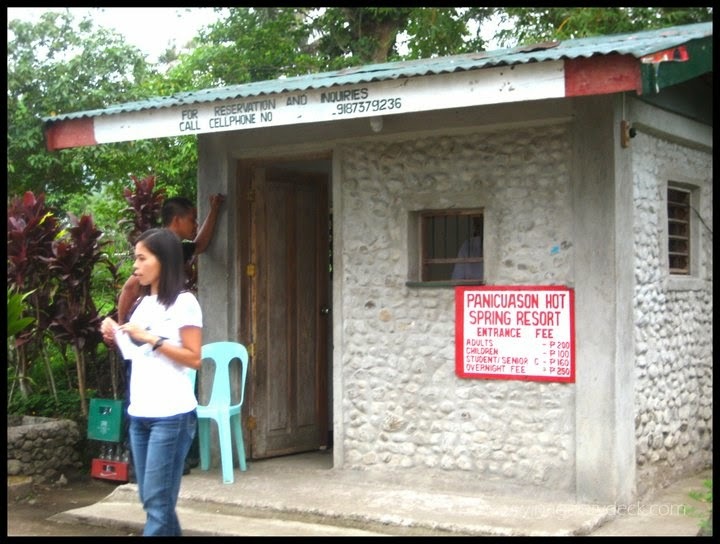 Entrance of the resort.. turn left. Click on the photo for the rates. Birds chirping around will welcome you as you enter the resort. 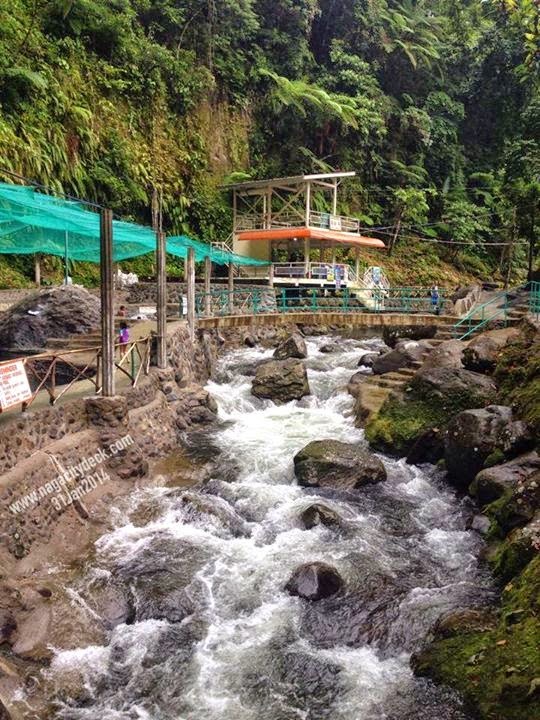 At the end of the colored painted footbridge is the accommodation for overnight stays. 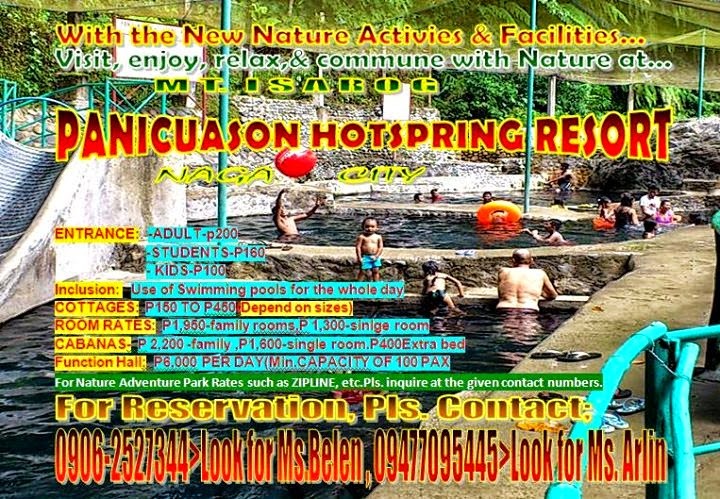 Visit the Panicuason Hot Spring Resort and reconnect with nature away from the city life! Enjoy your stay! *Prices are subject to change without prior notice. Please contact the resort for more details. how much room rates applies if you would stay overnight in the place? does the room is comfortable to sleep with?? hello Mary... i was about to ask the same question. @NCD, if you have any information please do leave a comment here. thanks. how much would the room costs for overnight stays? wanna know how much the room for 5 persons would cost for an overnight stay..and their contact number. thanks! 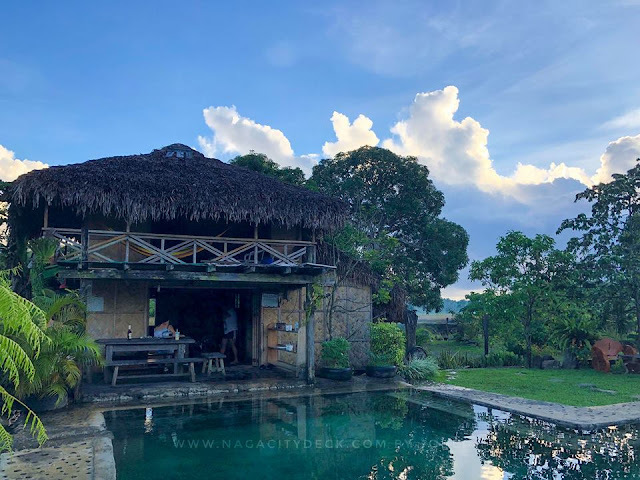 I have a friend in abroad and she is planning to have vacation here in Philippines and I think this fantastic resort will be suitable for her taste. She will like the nature ambiance of this place. Any details of the cost regarding rooms?foods? etc? Thank you. how much po if we stay in 1 night and 2 days. good for 2 person this coming end of may.